Really helpful Meg, esp. 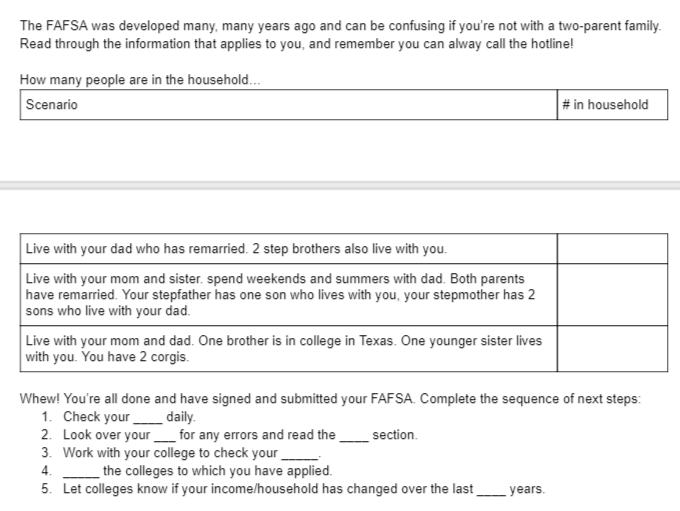 since I teach College Readiness. I went to a really cool workshop on using a ranking system to help students take some emotion out of big decisions and look at the “numbers” instead. I will share with you! DM me! The MORE pictures of LUNA!!! the happier I am. Thanks for the picture of Luna! Such a cutie. I sent the link for your post to my friend that teaches a class for all seniors in Santa Maria, CA. I think it’s full of such good information, I’m sure she’ll use it with her seniors, so THANK YOU!!!! 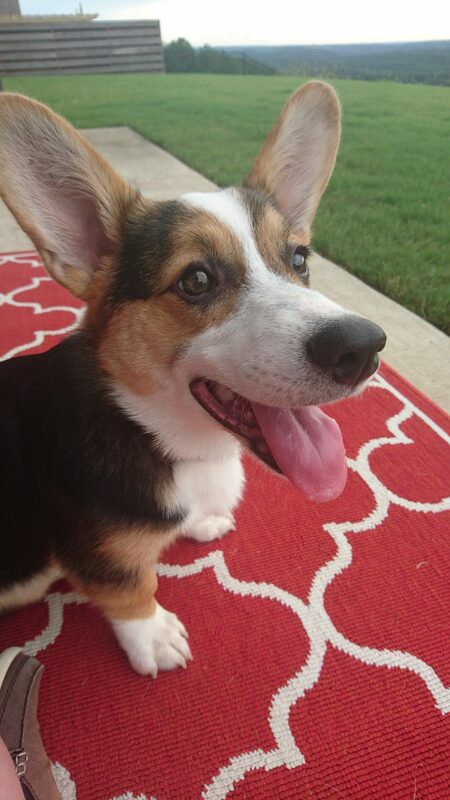 Haha, you know I am always more than happy to post corgi pics!! 🙂 You are very welcome for the information; I hope she finds it useful! Our guidance department does a mandatory college Boot Camp day for seniors on the day before school starts. The students rotate among different rooms where they get information about everything involved with applying to colleges. It is a private school so I’m not sure how that would work in a public school but it has certainly been effective for guidance department rather than trying to get the information to each student individually. 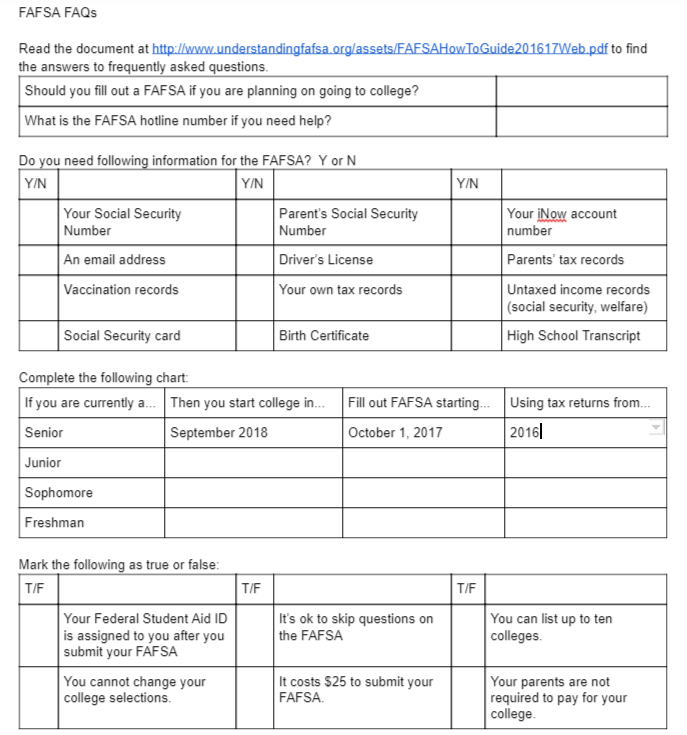 That’s great that you are helping out your students with learning about the FAFSA! Wow, that sounds like a great idea! Our school does do a lot, but it is hard fitting it in with so many students. Will suggest this to our guidance counselors!